Last May, British Airways Executive Club launched a new financial partnership with Citibank and its Citigold Wealth Management division. We covered it at the time but, doing a quick search, it seems that we haven’t mentioned it all in the last 11 months. I thought it was worth running over it again today. Citi has worked with Avios in Hong Kong for some time so this was not a surprising move, even though BA has its credit card partnerships with American Express in the UK. As you will see, this clearly a very niche offering and not something that you should rush into. There is also a cash equivalent which some people may find more attractive. Full details are on the Citigold Wealth Management website here. The headline offer is up to 100,000 Avios for opening a wealth management account. Looking at the small print, it seems that you can actually earn 150,000 Avios. There is a brand new, totally separate Avios offer for expats who have just moved to the UK. I will look at this separately later in the week. This offer runs until 31st December 2019. It may get rolled over, because it was originally meant to end on 31st December 2018. You need to keep the account at that balance for at least two full calendar months, so if you open an account today it must remain funded at that level until the end of July. You must also complete an ‘Investment Risk Profiling’ form within three months of opening the account. There seems to be a 2nd bonus …. Whilst not mentioned on the website home page, when you read the terms and conditions there appears to be an additional bonus of 50,000 Avios available. This is triggered by making “an advised investment” through your Relationship Manager withing three months of opening your account. But note the cash alternative …. Citi is happy to offer you cash instead of Avios. You can swap the 50,000 Avios for £500 and the 100,000 Avios for £1000. This makes the decision slightly trickier. Whilst I tend to get well over 1p per Avios (I have historically got around 1.15p and that is based on very conservative valuations for what I would have paid in cash if I hadn’t use Avios) I will not pay 1p for them. Avios are illiquid. Avios can be devalued at any point by the Central Bank of IAG. I am happy to speculatively pick them up for 0.75p but no more. Of course, if you redeem more carefully than I do then your maths will be different – for example anyone who ONLY redeems Avios with a 2-4-1 voucher will get better value. I purposely haven’t gone into the full details of the Citi Wealth Management service. If you are happy to move such sums of money then you will be the sort of person who does their own due diligence. 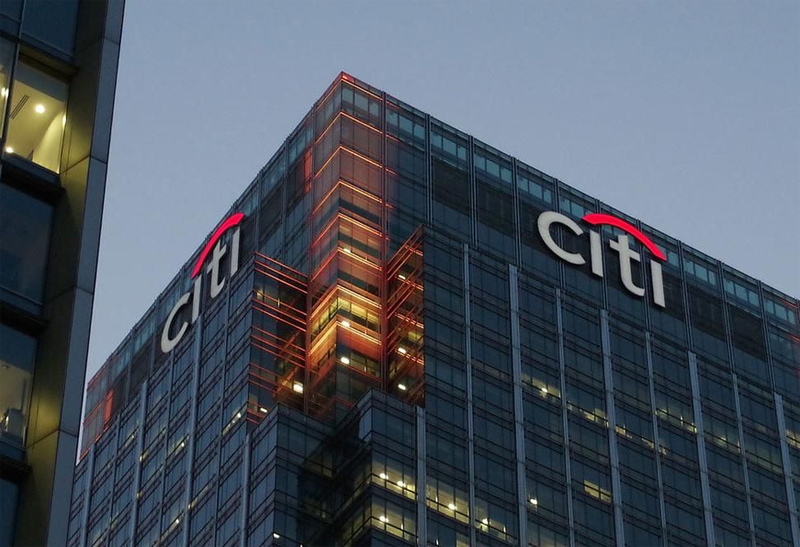 You can find out more about the Avios / Citi Wealth Management offer here. You also have to factor in the investment loss or gain of your joint £800,000 over the 2 month period to ascertain the true cost of the Avios. My dad, who lives in Hong Kong, had large sums invested with Citigold since his 30s. He happily managed everything online from the time this service became available (probably in the late 90s or early 00s). He recently turned 65 and for a birthday present he received an online banking message that he was now too old to safely manage his wealth without “advice” and therefore certain features would become disabled. This was non-negotiable and so he closed his accounts. Like the PPI misselling over here, HK has had scandals where elderly people, generally those with low education (who would have been richer than they seemed due to the low tax environment and a savings habit) lost their life savings due to poorly advised investments, with people protesting outside bank headquarters etc. Given that it was the poor “advice” that led to those losses, the bank policy for over 65s is illogical but my dad’s arguments led nowhere. I don’t agree as individuals vary hugely. My mother was managing all her own investments quite satisfactorily and even coping with paperwork until just weeks before she died just short of age 83, even though she had been suffering with cancer for the last three years of her life. People managing their own investments is safe and it is people receiving poor advice that is actually dangerous so this policy by Citigold is patronising and vastly increases the chances of an older person receiving bad advice that is not in their own interest. The amounts of Avios earned here per pound spent are derisory (eg compared to Nutmeg who have been offering 1 Avios per pound spent) so I really think Rob shouldn’t have mentioned this product again. I also feel he is likely to get himself in to a lot of trouble by suggesting that people choose their investment manager mainly or solely on the basis of the number of Avios awarded, especially given that the differences in returns achieved by different investment managers can be many multiples of the value of the Avios at 1 pence per Avios received. Julian – I don’t think Rob is suggesting people “choose their investment manager mainly or solely on the basis of the number of Avios awarded”. He’s making his readership aware of possibility of earning Avios in this way. Is this similar to how the UK government now appears to protect the pensions/insurance industry (which in some respects are one and the same) by their new-ish rule insisting that anyone wanting to take the 25% of their pension fund they’re allowed to, now isn’;t allowed to do that unless they;ve paid hundreds of pounds for “professional advice” before they can take their money out? Always struck me as a disguised tax, waste of money given the poor quality of much financial advice), and above all protecting the interests of pension funds much much more than those of the individual. Just barrier that stops people retiring to close to retiring, getting access to their own money. Or does someone else think different? I think the main test though is that the Avios earning rate is way below that at which Rob normally considers himself to be a buyer. Now while I know that is for cash I think a similar test can be made in relation to buying goods or services from a particular supplier because they are offering Avios rewards. Lady London, you are incorrect when you say that Financial Advice is required for people wanting to take benefits from their pension fund. The only compulsory requirement for investors to take advice is when they wish to transfer funds from a guaranteed Final Salary/Defined Benefit scheme into a stock market orientated investment driven pension such as a SIPP. When people see the Cash Equivalent Transfer Value of their Defined Benefit pensions, quite often the first thought is to move the funds into another pension (especially with Pension Freedoms now in place) with no underlying guarantees without a consideration for what they are giving up. If you have received poor advice, please do not tarnish the whole industry with the same brush. Especially as it seems you are not au fait with current pension rules. There are good and bad in any profession. … although this is an excessive requirement. I can get 30+ times my annual HSBC pension as a buy out. Given that I could access the money in 7 years it should be a no-brainer. However, because the sum is immaterial to me (it equates to under 5% of my net worth) there is no logical reason why I should need to pay a four figure sum for advice on whether it is a good deal or not. Warren Buffet? They should really disable his access. As always with these patronising things — you are being limited in managing and accessing your own money, while for example you are fully responsible for the complexities of your own tax return — all at the same age! Advised product fees are up to 3.5% with Citi. I’m not surprised they are trying to gouge his hard earned retirement fund. Instructive, perhaps, to note that the Citygroup CEO’s remuneration apparently amounts to no less than 486 times the median pay of his company’s employees. Avoid? !